Malta is a target for firms linked to the Italian mafia, Russian loan sharks and the highest echelons of the Turkish elite, according to a damning report issued by a group of investigative journalists. 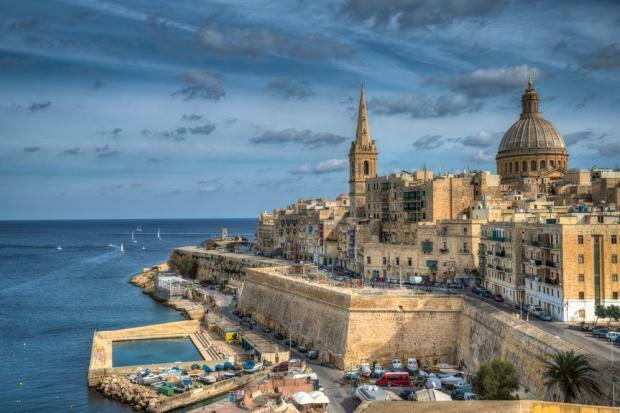 Over the last three months, journalistic network European Investigative Collaborations (EIC) said it had dug into over 150,000 documents that show how international companies take advantage of this system, using Malta as a pirate base for tax avoidance in the EU. 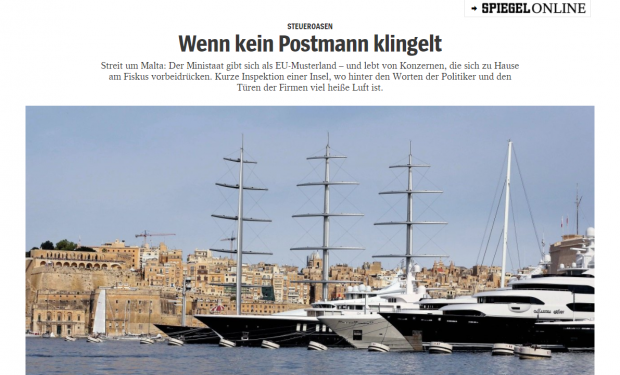 The so-called #Maltafiles, put online last night appear to back claims which have been made for several months and backed by controversial comments made by a German minister who said that a data leak has revealed information about 70,000 offshore companies in Malta. Malta operates a tax system where companies pay the lowest tax on profits in the EU - only five per cent. Although benefiting from the advantages of EU membership, Malta also welcomes large companies and wealthy private clients looking to dodge taxes in their home countries. Around half a million names from some 60 countries are cited in the files. L'Espresso newspaper said it will be publishing the names tomorrow, saying politicians and individuals linked to the Mafia were involved. Among the reports carried overnight, the #MaltaFiles say the son-in-law of Turkish President Recep Tayyip Erdoğan, Berat Albayrak, helped establish an offshore structure in Malta and Sweden to evade millions of dollars in taxes for his company - Turkey’s massive energy, textile and construction group conglomerate Çalık Holding. 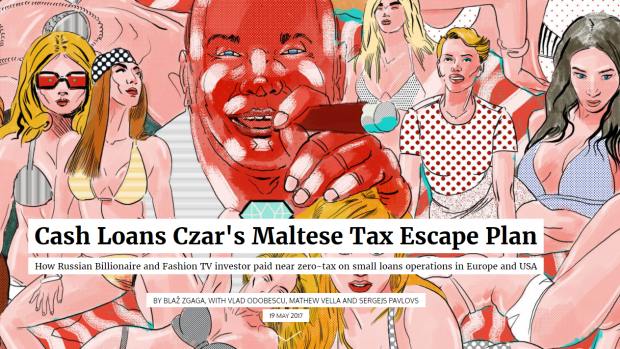 Another report explains how Fashion TV investor and Russian billionaire Oleg Boyko and his Latvian partners use Malta as a tax haven for operations in Europe and the US, while earning vast profits from emergency loans to Europe's "poorest and most vulnerable citizens". It said the scheme works in this way: a company in Geneva, London or Paris can open a parent firm in Malta, where it is taxed at 35 per cent, the highest income tax band. However if the shareholders of the company are not based in Malta, and the bulk of the firm’s business does not take place in Malta, the Maltese Inland Revenue can refund up to 6/7 of this amount to the company. De facto, this makes corporate tax in Malta only five per cent in comparison to an EU average of around 22 per cent. Even if the process appears legal, it seems Malta has not met all the requirements to control possible fraud cases. Maltese leaders have long argued that controlling tax policy is the only tool left for small EU countries to remain competitive. Using leaked documents and the Maltese company registry, the organisation Black Sea is made up of media giants like L'Espresso, Le Soir, and Der Spiegel and Maltese newspaper Malta Today. Edward Scicluna described the Malta Files revelations as “fake news” peddled by competitor European jurisdictions intended to undermine the country's tax regime. The Finance Minister said he was seriously concerned about the information being put out there because it was painting an untrue picture of Malta's fiscal regime and the financial services industry. "This is serious and it is in the national interest that both political parties stand together to stop this spin. This has nothing to do with local governance issues but an attempt to go at our jugular by targeting our fiscal regime," Prof. Scicluna said. He also urged practitioners in the financial services sector to stand up and defend the country because this was directly impacting their livelihoods. "It is laughable if it were not so serious to compare Malta with Panama. There is nothing secretive about Malta's registry of companies and we share company and banking information when asked to do so by foreign jurisdictions,” he said. 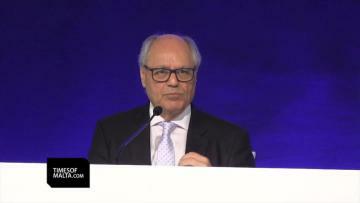 Prof. Scicluna added the matter would be dealt with at a separate conference. He was asked about the Malta Files at a press conference this morning in which he dissected the Nationalist Party's electoral pledges. Nationalist Party leader Simon Busuttil said he is disappointed that Malta is in the international headlines for all the wrong reasons. But he insisted that he disagreed with the “incorrect” conclusions of the Malta Files, insisting that Malta was no offshore, tax haven. He said the only reason Malta had been relegated to fight off such claims was because Joseph Muscat left the country's reputation go to ruin. If he didn’t let Panama Papers scandal go out of control it wouldn’t have happened. "If he didn’t let Panama Papers scandal spiral out of control this wouldn’t have happened." Dr Busuttil pledged to set up a high-level expert group if elected to introduce "emergency measures" to protect the all-important financial services sector.